Your privacy and security are just as important to us as they are to you! Ambassadorfaucets.com is the sole owner of information collected on this site. We will not sell, share, or rent this information to any outside parties, except as outlined in this policy. We collect information from our customers to process orders and better serve you with pertinent information, such as order confirmations and order status updates. Information collected includes your name, shipping address, billing address, telephone number, e-mail address, and payment information such as your credit card number. We also require you to submit a username and password of your choice for your future access to your account information. To safeguard that your user name and password remain confidential, DO NOT share this information with anyone. If you elect to receive our newsletter or special promotions, your contact information will be used for the delivery of these items. If you wish to opt-out of our periodical newsletters and/or special promotion announcements, log-in to "My Account" and unsubscribe to our newsletter. In order to process orders placed on this website, you must first complete the registration form. During registration, you will be required to provide your contact information, which includes your name, e-mail address, telephone number and street address. This information is used to provide you with important services such as automated order status updates via e-mail. Most of the information collected in the registration process will be used to process orders. During the order process, you will have to provide financial information such as your credit card number and expiration date. This information is used for billing purposes and to fulfill your order. If we have trouble processing an order, we will use this contact information to get in touch with you. To properly process your credit card information, we must share your personal and financial information with the merchant bank for authorization and approval. This process is protected by an enhanced security system. At Ambassador, we are committed to providing our customers with a secure environment. We maintain practices and procedures designed to ensure the security, integrity and confidentiality of customer information and use various security measures to ensure that your credit card and personal information are protected, including the latest in security technology. RapidSSL, a leading provider of digital authentication services and products for electronic commerce, delivers critical infrastructure services that make the Internet and telecommunications networks more intelligent, reliable, and secure. 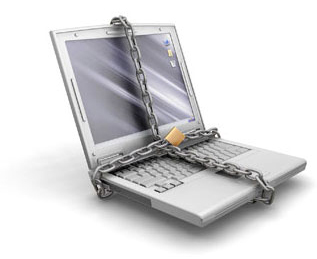 To protect our customers private information we use Secure Socket Layer (SSL). The information you enter on our website, once you are logged into your account will be transmitted securely via Secure Sockets Layer SSL, encryption services. Pages utilizing this technology will have URLs that start with "https://" instead of "http://", additionally, some browsers will display a small lock next to the URL. We guarantee that every online transaction you make will be safe. Under the Fair Credit Billing Act, your bank cannot hold you liable for more than $50.00 of fraudulent charges. If your bank does hold you liable for any of this $50.00, We will cover the entire liability for you, up to the full $50.00. We will only cover this liability if the unauthorized use of your credit card resulted through no fault of your own from purchases made while using the secure server. In the event of unauthorized use of your credit card, you must notify your credit card provider in accordance with its reporting rules and procedures. For your convenience this website may contains links to other related websites. Although these other websites are known to us as reputable companies, we are not responsible for the privacy practices or the content, errors or mistakes of such websites.